From the most varied artistic and cultural street manifestations, to hundreds of theaters, more than 7,000 bars and restaurants and endless nightlife options, Buenos Aires has the best entertainment offering in South America. As a testament to this reputation, an ever-increasing roundup of international festivals have been announced for 2018. Complementing these events, Buenos Aires’ world-renowned gastronomy, luxurious accommodations and unique porteño spirit combine to present the elusive spirit of Buenos Aires and its inhabitants. March 16 - 18: Ideal for lovers of pop, rock, hip hop and electronic music, the festival will feature more than 100 bands over the three days and hosts a great mix of international acts such as Pearl Jam, Chance the Rapper, and Lana del Rey, as well as local names that’ll keep visitors jamming for days at the Hipódromo de San Isidro. Open to the whole family, Lollapalooza Buenos Aires also offers Kidzapalooza, a parallel event for kids at the same location that offers family-friendly music on its own stage and workshops and activities designed to bring out the creativity of every child. The Kidzapalooza zone offers family services and spaces, and a picnic zone for the whole family to relax in between sets and activities. April 11 - 22: Latin America’s most important annual film festival showcases original and groundbreaking filmmaking created by acclaimed directors and new talents from around the world. The 11-day event features indoor and outdoor sessions that include premieres, presentations, talks and screenings in venues all over the city. In 2017, more than 380,000 people visited the 32 venues hosting more than 1,000 screenings. May 9 - 20: The annual tango dance championship travels every night to a different social dance event, or milonga, on the Buenos Aires tango circuit in search of the city’s best dancers. Winner of the championship will represent the locals at the Tango Buenos Aires Festival and World Cup in August. Visitors are invited to enjoy the competition, which honors Argentina’s cultural gift to the world and UNESCO Intangible Cultural Heritage of Humanity: the tango. September 11 - 16: Chosen as the first Art Basel Cities initiative, Buenos Aires will support the city’s cultural ecosystem including artists, galleries, non-profit spaces and public institutions to highlight the city’s vibrant cultural scene. Art Basel Buenos Aires will host a series of events and workshops throughout these days showcasing the brilliant work of local and international artists. September 19 – 23: Spanish for emerging city, this festival is dedicated to underground art and music. Promoting youth culture and showcasing new emerging trends in the world of music, film, art, dance, fashion and even stand-up comedy, the festival hosts various live national and international bands, DJ’s art exhibitions and street art demonstrations. 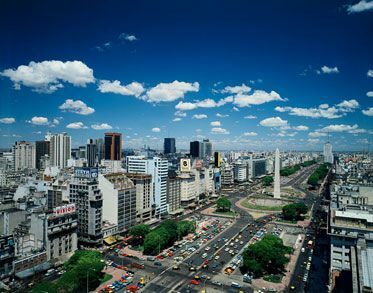 October 6 - 18: Buenos Aires will play host to the third edition of the Summer Youth Olympic Games. This major international event is the world’s largest multi-sports competition for young high-performance athletes and seeks to inspire participants to adopt the Olympic values of respect, friendship and excellence. Interestingly, this is the first Olympic event in history to have the same number of male and female athletes. November 14 – 19: Jazz lovers will find everything from classic bebop, to jazz fusion, swing and Argentina’s own special jazz hybrid - nuevo tango - celebrated at the annual BA International Jazz Festival. The festival inaugurated in 2008 and hosts some of the best international talents.